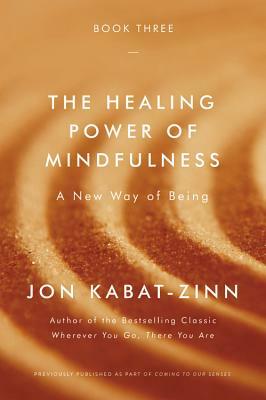 More than twenty years ago, Jon Kabat-Zinn showed us the value of cultivating greater awareness in everyday life with his now-classic introduction to mindfulness, Wherever You Go, There You Are. Now, in The Healing Power of Mindfulness, he shares a cornucopia of specific examples as to how the cultivation of mindfulness can reshape your relationship with your own body and mind--explaining what we're learning about neuroplasticity and the brain, how meditation can affect our biology and our health, and what mindfulness can teach us about coming to terms with all sorts of life challenges, including our own mortality, so we can make the most of the moments that we have. Originally published in 2005 as part of a larger book titled Coming to Our Senses, The Healing Power of Mindfulness features a new foreword by the author and timely updates throughout the text. If you are interested in learning more about how mindfulness as a way of being can help us to heal, physically and emotionally, look no further than this deeply personal and also "deeply optimistic book, grounded in good science and filled with practical recommendations for moving in the right direction" (Andrew Weil, MD), from one of the pioneers of the worldwide mindfulness movement. His work in the Stress Reduction Clinic was featured in Bill Moyers' PBS Special, "Healing and the Mind" and in the book of the same title, as well as on Good Morning America, the Oprah Winfrey Show, and Oprah's Super Soul Sunday, as well as NPR. he has contributed to a growing movement of mindfulness into mainstream institutions such as medicine, and psychology, health care and hospitals, schools, corporations, the legal profession, prisons, and professional sports. He is the author of numerous bestselling books about mindfulness and meditation: Full Catastrophe Living: Using the Wisdom of Your Body and Mind to Face Stress, Pain and Illness; Wherever You Go, There You Are: Mindfulness Meditation in Everyday Life; Coming to Our Senses: Healing Ourselves and the World Through Mindfulness; and Arriving at Your Own Door: 108 Lessons in Mindfulness. He is also co-author, with his wife Myla, of Everyday Blessings: The Inner Work of Mindful Parenting; and with Williams, Teasdale, and Segal, of The Mindful Way Through Depression: Freeing Yourself from Chronic Unhappiness Overall, his books have been translated into over 30 languages.